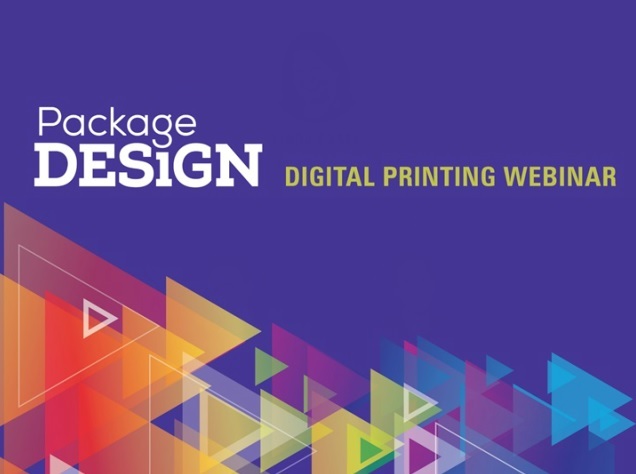 Package Design recently held a webinar on how brand owners can use digital packaging and labeling to improve their marketing and product offerings. As a summary, Peter provided the following key points. 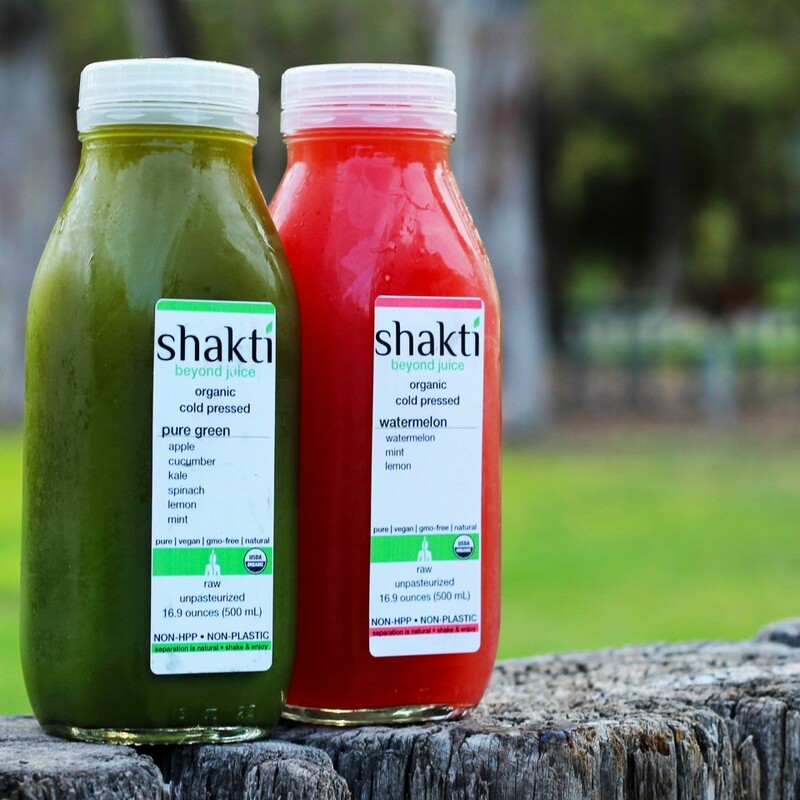 Packaging and Labeling are the marketing vehicles with the greatest leverage; and the last interruptive media. Further, consumers or businesses interact with the packaging regardless of how it is purchased; in-store or on-line. It’s advertising; with high reach, low cost and strategic in nature. And on-line shopping is making packaging and labeling more important. 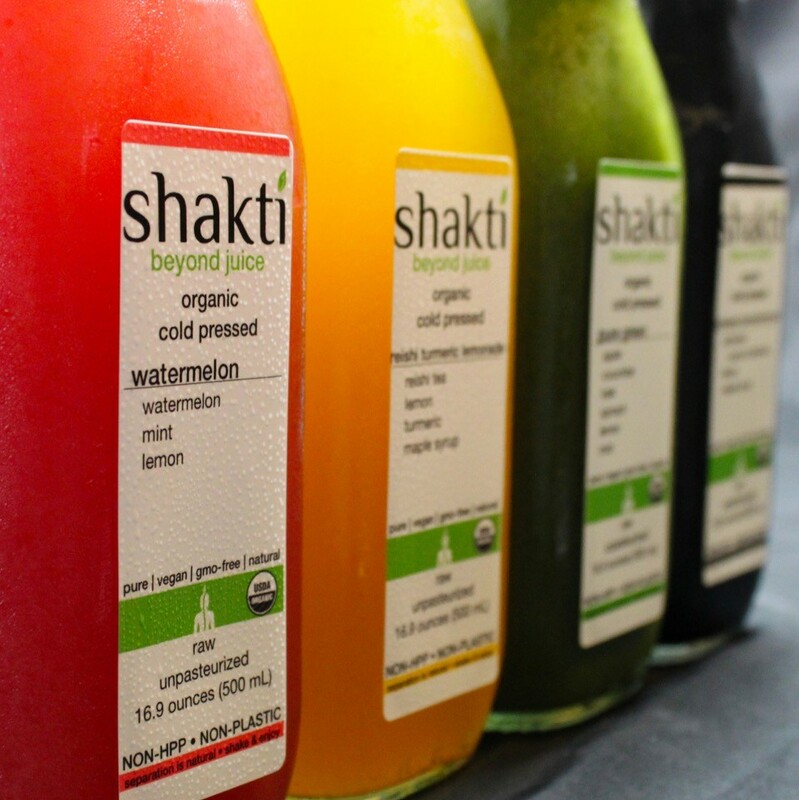 Digital printing is allowing packaging and labeling to become more fluid and personalized. It’s a revolution in packaging and labeling that will continue for decades; enabling shorter runs, more effective promotions and personalization. Digital packaging and labeling enables you to print what you need, how you need it and when you need it. On-demand dramatically reduces inventory and waste/obsolescence costs; enables production adjustments based on demand; and provides 100% revision control allowing companies to target consumers better. Peter’s take away is that digital makes packaging and labeling more compelling, enables companies to make bolder moves in the market, and drives sales both on and off line. 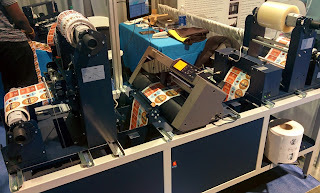 Digital packaging and labeling are growing significantly. 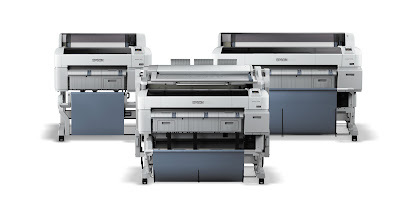 The value of labels printed on color digital systems will increase from approximately $3 billion in 2014 to just under $6 billion in 2019, reflecting a 15.9% CAGR (compound annual growth rate). Direct color digital printing of packaging, mainly folding cartons, flexible packaging, is less established, about $300 million in print value today, but that is expected to easily top $1 billion in 2019. 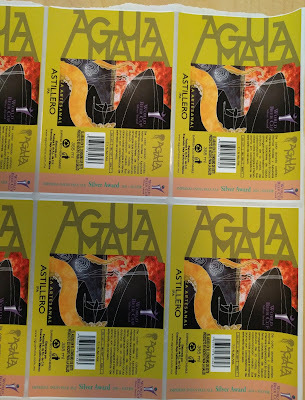 Short run color digital printing of labels and packaging enables companies to launch new products, outfit pop-up retailers, produce private label products, make new versions to better target customers, cut out obsolescence, and eliminate costs like plates. As a print technology option, it’s effectively the closest a brand owner will come to “mass customization”. 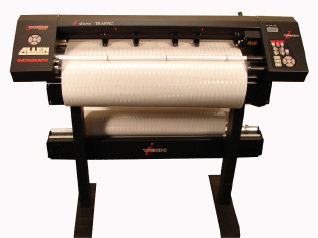 Digital labeling allows companies to print variable data, a tool conventional printing doesn’t have. 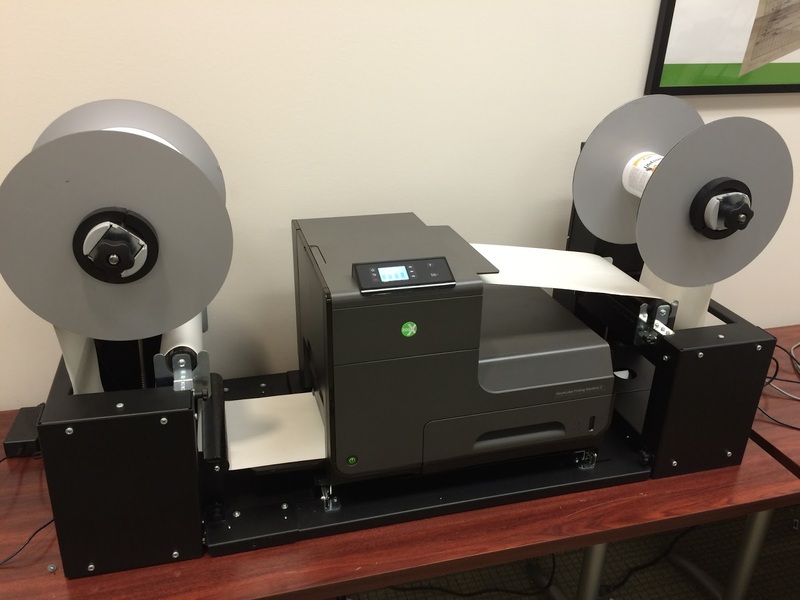 Brands can use variable data printing (VDP) to serialize products and thereby tighten the tracking of them, to prevent fraud. Meanwhile , VDP offers something else, personalization, a boon to on-line entrepreneurs and others who offer products customized for individuals, such as wedding favors, new product samples, etc. 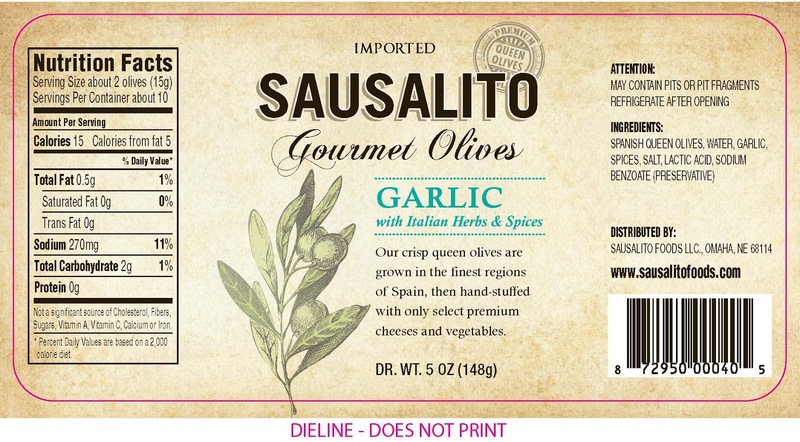 Overall, I believe digital label and package printing technology enables great new ways to reach businesses and consumers; improves processes and ultimately increase sales; especially in the on-line world. If you want help to move to digitally printing color labels on-demand, contact us; we’ll help you start quickly and easily. 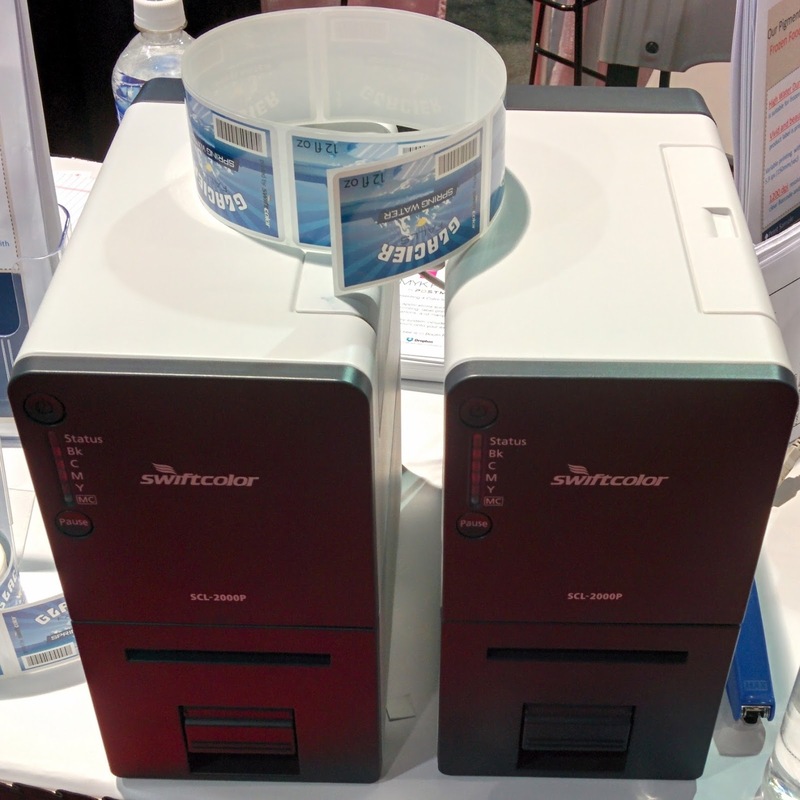 Do you have small containers requiring more content than the label size allows? We’re providing labels that wrap around almost twice to provide additional label real estate to meet the GHS requirements on small containers. 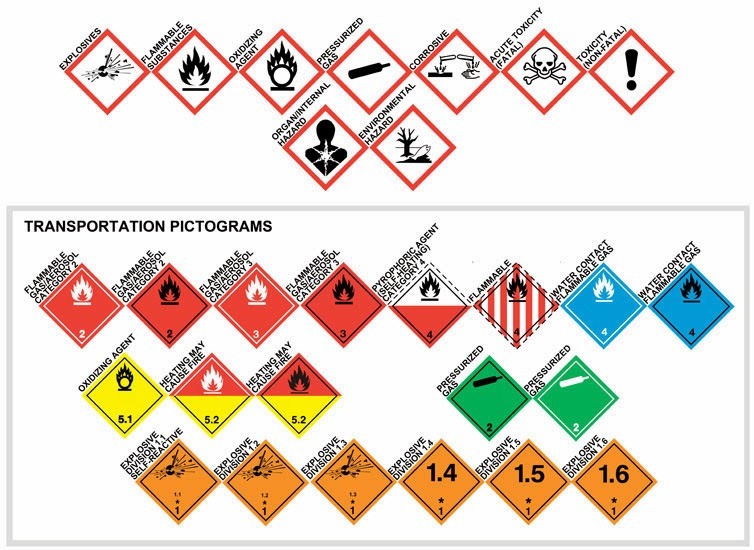 Although not allowed us to use the company name, I decided to post an overview of what we are doing for this small to medium size company of aroma chemicals. 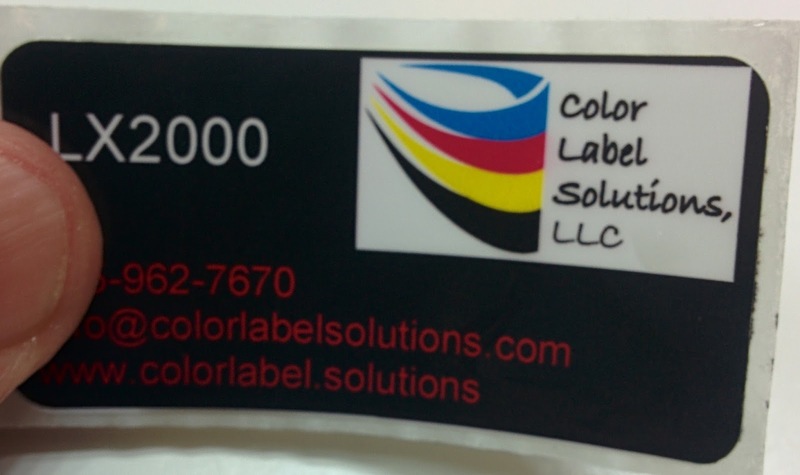 After finding Color Label Solutions via our website (www.colorlabel.solutions) and blog (www.colorlabelsondemand.blogspot.com) in the winter of 2014, our customer wanted to test a GHS label printer prior to purchasing. 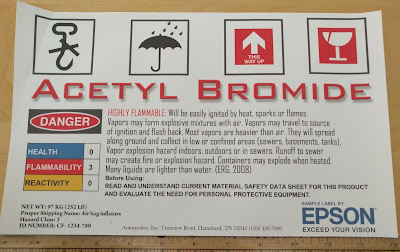 To help them move forward, we provided our customer a demo C3500 printer and labels to test; using GHS label designs created by 3E (www.3ecompany.com/). 3E Company, a Verisk Analytics (Nasdaq: VRSK) business, is a global provider of data and information services which enable companies to improve compliance with Environmental, Health & Safety (EH&S) regulations and supply chain obligations through the entire lifecycle of chemicals and products. 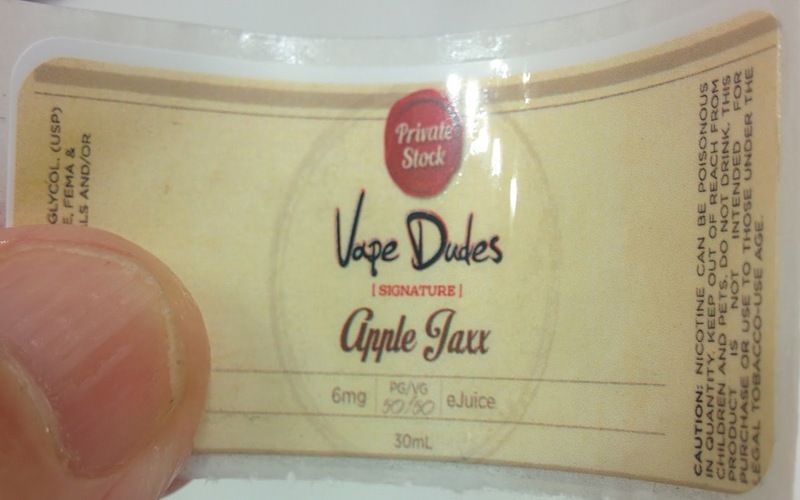 During the testing, our customer printed a variety of label sizes and designs. Also, the customer tested the labels under different conditions (freezer, oven, etc.) for adhesion, durability and acetone resistance. 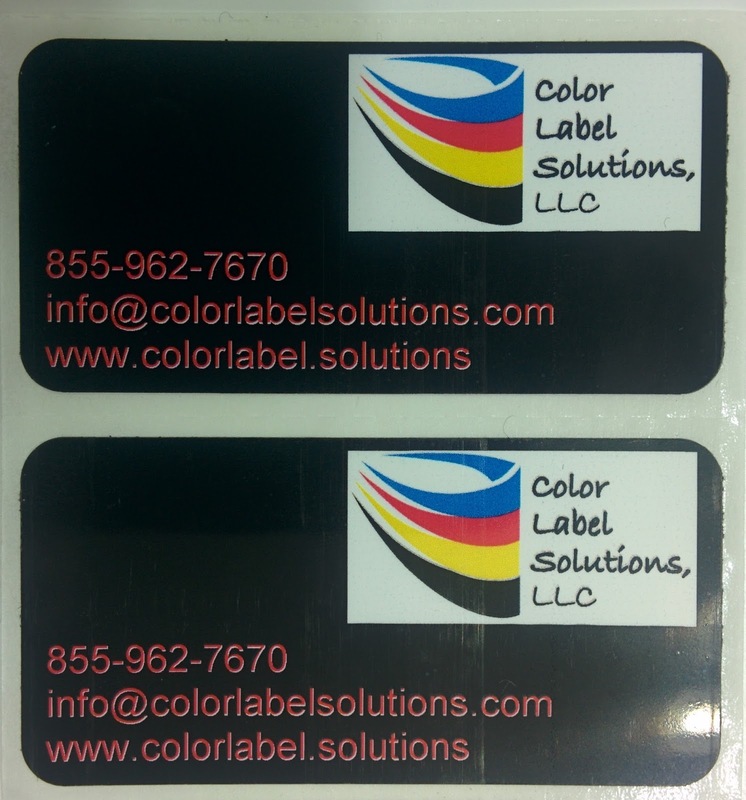 In their tests, the matte poly labels held up very well; and then decided to purchase a C3500 and initially 3” x 5” and then later 4” x 7” inkjet coated labels with their logo preprinted. With the logo’s, we took several iterations to get the labels to look exactly as required. 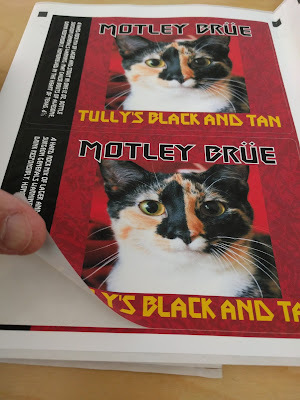 When preprinting, it’s important to insure you get the exact color match and dimensions you want. 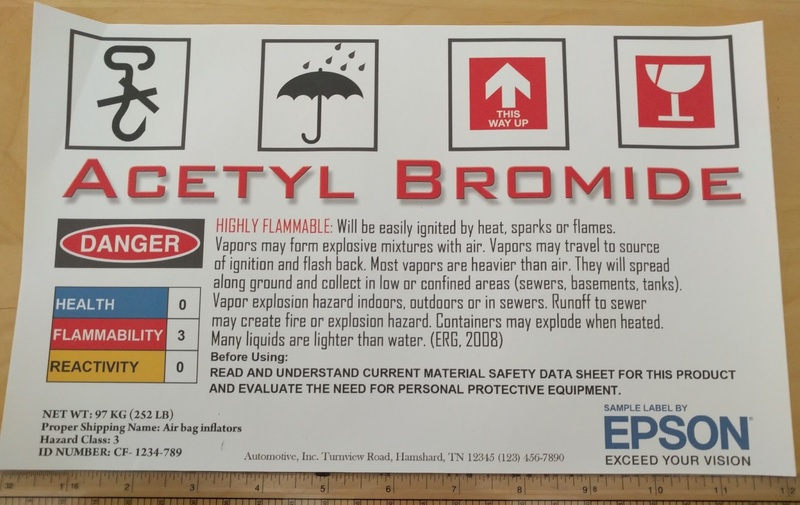 Plus with Epson inkjet printers, you can’t print on top of the color; so the logo’s were placed at the top out of the way of the GHS label content. As the labels look great, I wish I could show you the finished product. 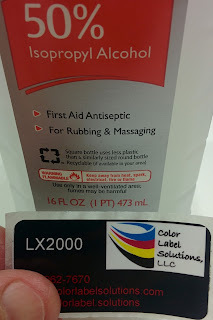 After completing the preprinted labels, the customer had one more request: sample bottle labels. The real estate on these bottles was too small to place all of the required GHS content without using tiny font sizes. Therefore, our customer wanted to know if we could place adhesive on one end of the label and then skip an area before adding adhesive again at the end. 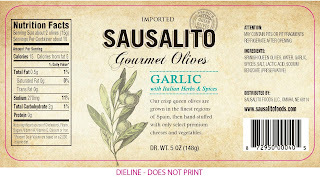 With this design, our customer could produce labels that would stick to the bottle and then wrap around again to stick only at the end on top of the lower layer. 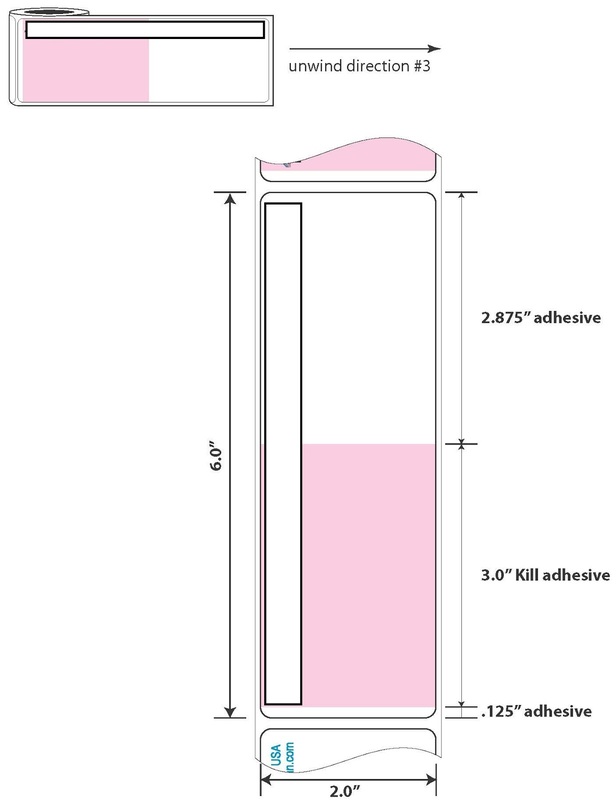 Given the requirement, we suggested to use a “Kill Adhesive”. 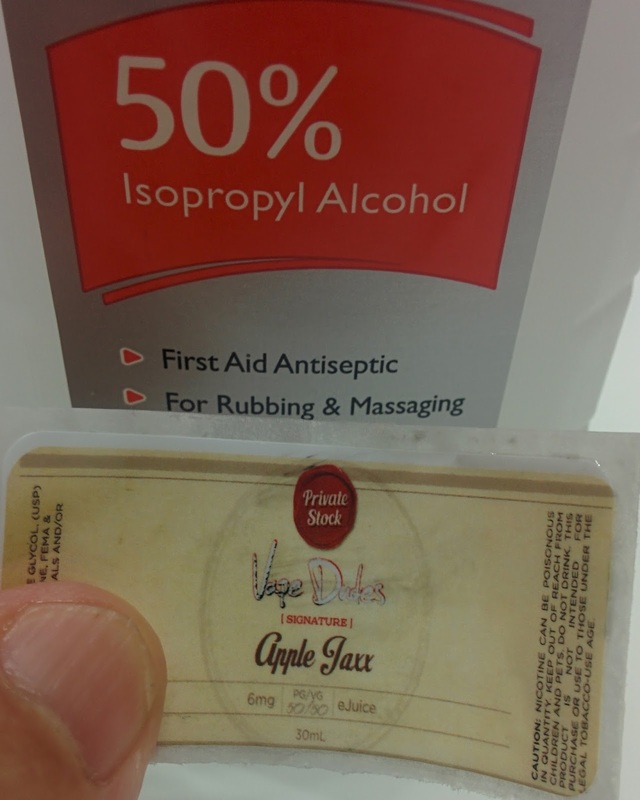 With the kill adhesive, it prevents the adhesive from working on a section of the label. 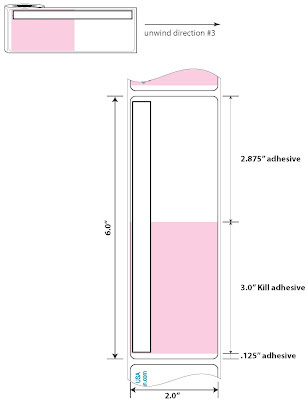 After sending samples of the kill adhesive, our customer ordered preprinted, 1.5” x 6” labels with 2.875” of good adhesive, 3” of kill adhesive applied, and then .125” of adhesive at the end. As we recommended the adhesive be applied to the leading edge of the label, our customer needed to work with 3E to redesign the labels. 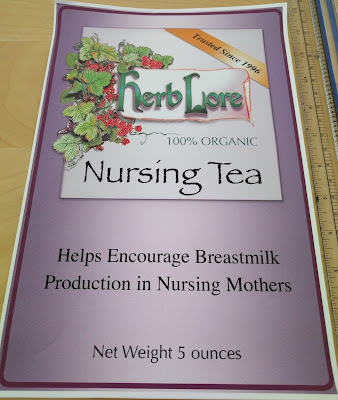 But this work paid off in a great looking design, even adding “peel here” text, and a dotted line on where the end of the label would attach to the lower first wrap. 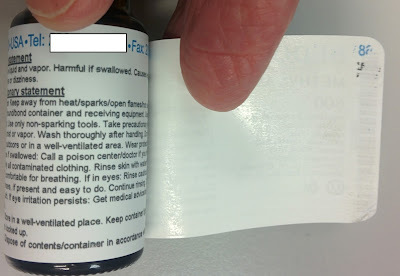 On this particular label, a bit of the ink from the lower wrapped peeled off. But this potential ink issue is not critical as the customer designed the label to eliminate most of the content in the area of the tab of adhesive at the end. 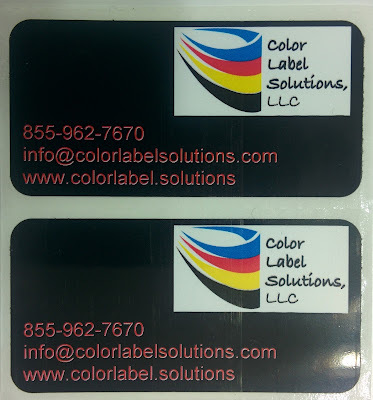 Working with people like this customer is one of the great benefits of leading Color Label Solutions. 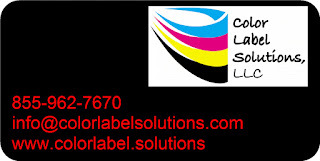 Contact us if we can help you with unique and colorful labels and tags. 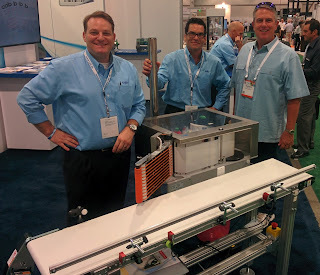 This week, I attended Pack Expo 2015 (http://www.packexpolasvegas.com/) in Las Vegas. From 1995 to today, PACK EXPO Las Vegas has steadily grown into the largest processing and packaging event of the year—an event known for showcasing the innovation of top-tier suppliers. It’s where corporate- and plant-level managers, engineers, production professionals, brand managers and package designers can connect with suppliers, talk shop and gain perspective on the industry to stay ahead of the game. In this year’s show, I saw a few new products/solutions that seemed unique. Let’s see if you find them of interest as well. (FYI: if the application seems slow, it’s a conveyor issue. 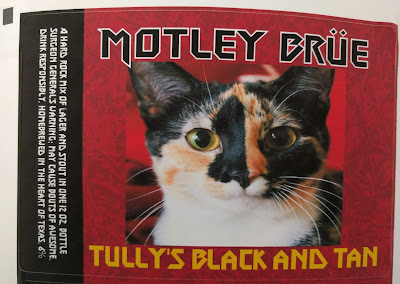 The printer runs much faster). According to the Sales Manager at CAB, “the Hermes C with the two-tone X-Series printer is the only solution available to print and apply GHS labels. 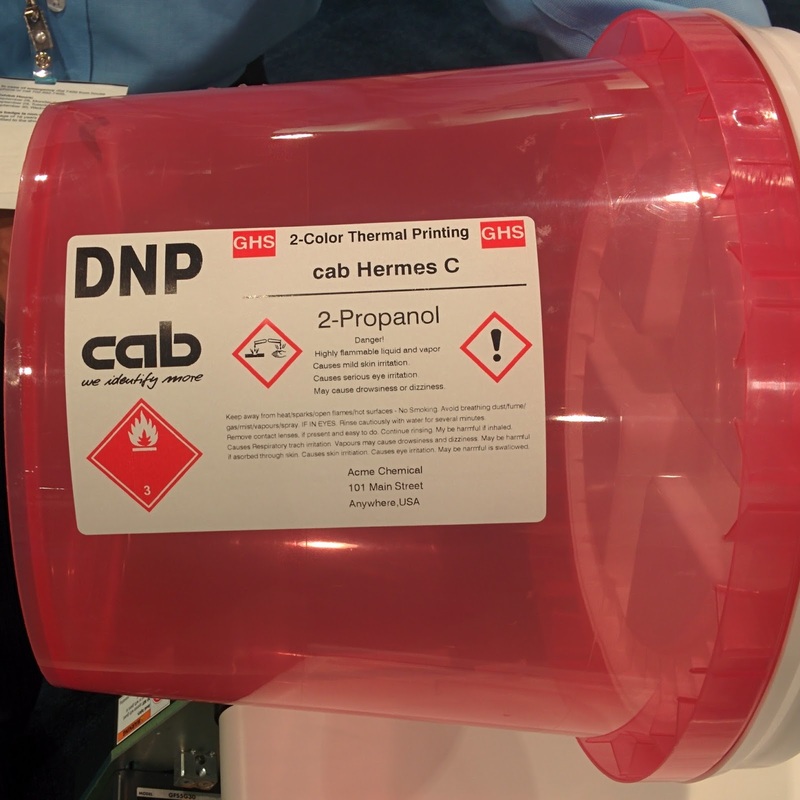 We have customers using this applicator for paint cans and box application solutions.” I believe this new solution is needed in the market. If you need it, contact us to learn more. 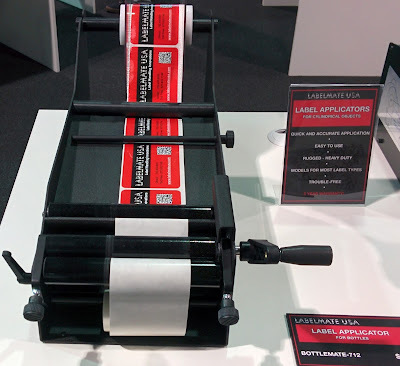 In addition to the new CAB printer/applicator, Kanematsu showed their new 2” color label printer. What do you think of the change process? Let me know your feedback. 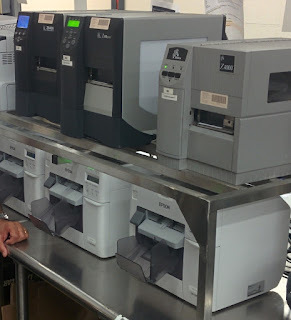 In addition to new printers, I saw two affordable label applicators that should fit several of my customers. 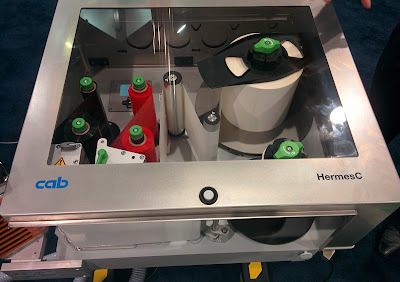 Labelmate was showing their manual Bottlemate, a manual applicator for bottles. This applicator is affordable and easy to use. Great if you want your labels applied in the same place every time. 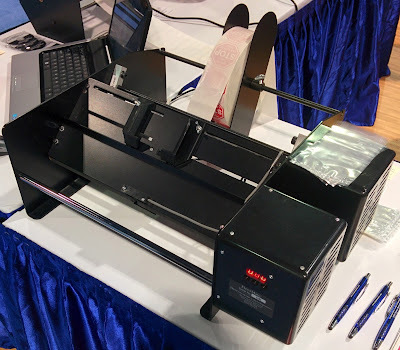 And Dispense-matic showed their Flex-Matic flat package applicator; for applying labels to sleeves and other packages thinner than .25”. The Scorpio seems to be the least expensive finisher at under $24,000. 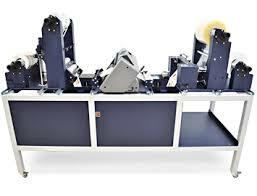 Plus Scorpio seems the simplest finisher as well; with 3 independent sections (lamination, die-cutting, and slitting). With few moving parts, the finisher has few places where break-fix or maintenance is required. This design should make the Scorpio finisher more reliable in operation. Overall, I found Pack Expo 2015 a success for Color Label Solutions, meeting a lot of new people and seeing a few new and interesting products/solutions. Contact us if we can help you with any of the items featured here; or that you saw yourself at Pack Expo.